Attorney and Counselor at Law, Duly Licensed and Admitted to Practice Law in Courts of the State of New York since 1989. Practice in all New York State Courts and Federal Courts for the United States District Courts for the Southern and Eastern Districts. Negligence Trial Lawyer and Litigator since 1990. Trials in all 5 boroughs, Westchester, Putnam & Nassau Counties. Extensive plaintiffs’ negligence trial experience in all areas including motor vehicle, premise slip/trip and fall, elevator and escalator cases, dental, medical malpractice, wrongful death and lead poison. Attorney and Counselor at Law, Duly Licensed and Admitted to Practice Law in Courts of the State of New York since 1989. Extensive plaintiffs’ negligence trial experience in all areas including motor vehicle, truck accidents, construction site accidents, premise slip/trip and fall, elevator and escalator cases, dental, medical malpractice, dram shop, wrongful death, and lead paint poisoning litigation. Rick is a passionate trial attorney who loves the law and helping clients. He lives and breathes trial law. As a young lawyer, Rick worked with famous trial lawyer William Kunstler. In the early 1990s, he worked for the insurance defense firm Leahy & Johnson as a trial attorney. 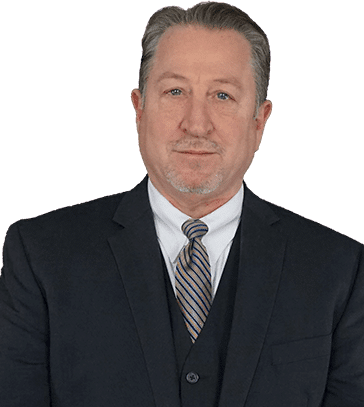 With experience as both a plaintiff and defense lawyer, Rick has been trying cases on behalf of plaintiffs for the majority of his career and at one time ran his own solo law practice. He has been a trial attorney other lawyers hire to conduct their trials especially on their significant cases. Having worked with the firm since 2009, Rick has been a mentor to younger lawyers and paralegals helping them learn how to be better lawyers both in and out of the courtroom. When on trial, Rick has obtained verdicts and settlements in the six and seven figure range on hundreds of cases throughout his career. Rick prepares each case for trial with meticulous dedication and precision. He utilizes the best experts in various fields: medicine, engineering, safety, accident reconstruction, economics, vocational rehabilitation, and others. $2,500,000.00 Bishop v. Harris, Kings County Supreme Court, car accident. Mediated settlement. $755,000.00 Verdict. Supreme Westchester. Car Accident. Aggravation of pre-existing lumbar spine fusion injuries. $750,000.00 settled during trial. Medical Malpractice. Lucilla Ramos/ William Ramos v. Mike Chou, M.D. $600,000.00 trial jury verdict. Supreme Court Kings County. Car Accident. Herniated disc and shoulder arthroscopy. $325,000.00 settlement in a sidewalk trip & fall – Negron v. 1400 Holding, et al. Supreme Court Kings County.